I love vazhaippoo paruppu usli... Suganya... you're making me want to go home now. Beautiful! Where did you get the banana flowers from? yummy! i love vazhaipoo thoran that mom makes. preparing the vazhaipoo is such a tedious task though. i remember getting my hands dirty when i was a kid..
never steamed dal though (saute it in a kadai, love the brown flakes) - will try this method sometime. thank you for the detailed instruction on how to cook banana flowers. the usili looks delicious! just looking at the photos makes my mouth water! :)beautiful photos. OMG! Suganya, I'm speechless (me?)! Banana flowers, sesame oil, white pumpkin...I can't even imagine what this tastes like (sigh). How beautiful.NEVER tasted the Banana flower before. Great combo with Morkuzhambu.YUM!! Suganya, I had a disaster trying that banana flower during my first year in US, I made stir fry with coconut but it was so bitter that it went straight to my bin. After seeing your recipe I came to know where I did the mistake. I kept the stamen intact :) silly me! where did u get banana flowers from? Wish I could get Vazhaipoo here inn Ann Arbor. My next meal plan is more kuzhambu and usili too!! I've got the chou chou all cut up in the fridge, along with the beans and the parupu ground up. I was so proud of myself to get all the 'prep' work done. 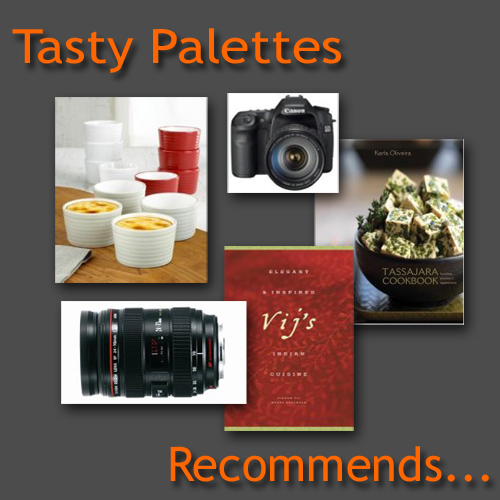 Nice to see this on your blog, it certainly is a classic combination!! Beautiful pictures as always Suganya. I'm sure you'll win the CLICK contest if you enter!! Morkuzhambu is our comfort food.I usually make it with paruppu thovaiyal...have never tried usili with vazhaipoo. I always wanted to try banana flower dish n i am glad to have found one. Thanks & gtg now ( I am rushing to the indian store NOW). Nice combo. I've never tried usili with vazhaipoo. Got to try it soon. Nice colors of the Banana flower. I just love its texture and stringiness . Nice pics of a great recipe. Raaga, I made this few weeks back. When I was posting yesterday, I was very hungry myself. What a classic combo it is. I get banana flowers from an Asian store, Musical. They have most of the times. Its only getting there is a pain. Have to drive for 40 miles. Oh yes Nags. I remember that too. It is not as tedious when you do it as a team. So my mom always asked me to give her a helping hand. Now I have G :). Lakshmi, I know what you mean ;). I watch TV or a movie while I do this. So I don't doze off. But the part I find difficult is when it comes to the inner layers where stamens are not well-matured, but still you have to find 'em. Steaming dal is to make sure it doesn't taste raw and it takes less oil if you have saute and cook it. That doesn't mean I don't saute much. Love the caramelised bits of dal. Paati, I am so honoured to have you here. I guess I have done it right to get a compliment from you. Thanks for visiting. Susan.... You ... speechless... C'mon. If you ever visit my place I will definitely make this for you. You have to taste it to believe it. Asha, Its a taste that I cannot describe. You will be surprised bananas come out of it :). Just remember to soak them in buttermilk or cook them with some curd or tamarind. This way they won't taste bitter. You said it, Laavanya. Deadly combination. Am not tired of hearing 'em Sia :).I get banana flowers from Asian store. Shyamala, I know you will be able to appreciate this combo. Killer, right? 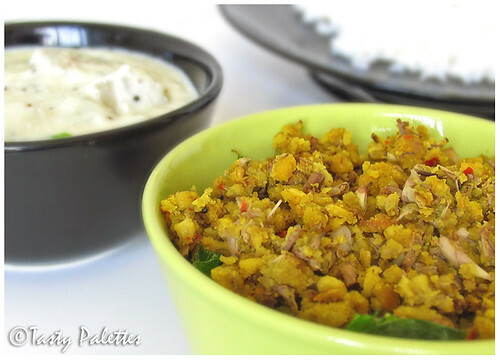 Namratha, If you visit Mallu blogs, you will find lot of recipes for thoran as well. But if you are first timer, you will love how the dal compliments the flower. Kaykat, Its banana flowers :D. You already see plantains in 'em? I wanted to take part in the event, Mandira. Am glad that I didn't miss the train :). Thanks for accepting my last minute entry. See ya at the round-up! I bought a vazhaipoo about a month back and have not found the time to peel it :(( I know, its rather shocking to still have it in the fridge !! That sounds good. I have used banana flower once for making a thoran, but I used the canned one 'cos I don't get the fresh thing. It was such a mess and I was very disappointed with the outcome. Loved your first set of pics. 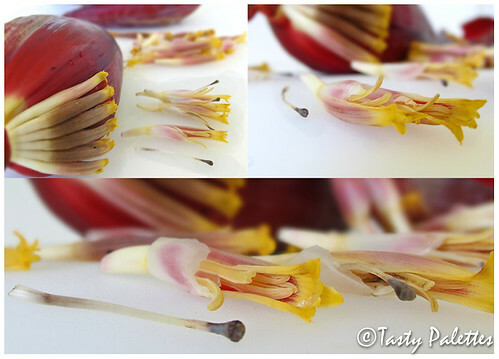 This has got to be the most beautiful pictorial I've seen on banana flower. have never had a dish with it that I liked, and the vadas drown the taste of this. I remember vaguely my grand mother preparing dishes with banana flowers. I had no idea that it was a tedious task using them. thanks for the pictorial instructions. Morkuzhambu or majjiga pulusu is my all time favorite dish too. I had made this lovely recipe once and forgot to soak them in buttermilk. that was a big blunder. I had to throw it all off. thanks for the step wise and detailed recipe. will try again in future. Lovely though I've never eaten banana flowers. I am constantly amazed (in a good way) at the edible things I see on blogs... tonight and sometime back, I read about eating the plantain peel now you tell and teach me how to use the banana flower... awesome. Hmm.. reminds me of mom. When we were young, mom used to make this one ; palya with banana flowers. This is one of the things I like so much about food blogging: someone leaves a nice comment on your blog (thanks for the TWO nice comments, Suganya), you click their link and you discover an amazing site. Now that I have seen your pictures, I just want to slink away, hide my camera and wish that I was as good as you. This is a phenomenal site! PS: Yes, I have submitted to Food Blog Desam and Mahanandi's list both, but I am still waiting to be added. I guess these things take time. Gorgrous gorgeous recipe and picture. Have always been fascinated and intimidated by banana flowers. The cooked flowers are great with dals also..
More Kozhumbu with parupu usili... and a side of Mochai rasam! Ahhh! My mouth is watering just at the thought of it!